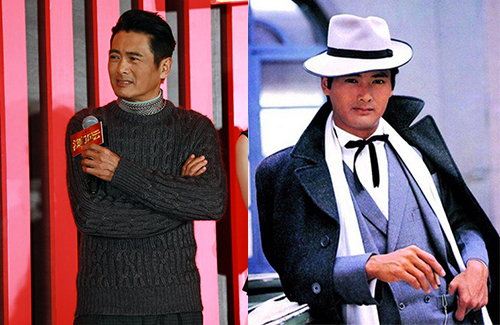 Hong Kong superstar Chow Yun-fat (周潤發) has been in the industry for over forty years. The television-turned-film actor has left behind a legacy that continues to impact generations today, but it is not only his legacy that is timeless. From watching the 25-year-old Chow Yun-fat on TV then, to the 61-year-old Chow Yun-fat in film today, the From Vegas to Macau <賭城風雲> star didn’t seem to have changed much in appearance in the past forty years. But Chow Yun-fat isn’t the only actor of his generation that carries a timeless beauty. Angie Chiu (趙雅芝), Michelle Yim (米雪), and Simon Yam (任達華) are also some of our favorite stars who has kept their beautiful looks in the past four decades. What is their ageless secret? 27 comments to Hong Kong’s Ageless Celebrities: What’s Their Secret? I’ve met Simon last year in Korea and he is so handsome in person. I can’t believe that he’s in his 60’s! He’s very nice; I had a short conversation with him about his movies. @vlol he does look really good as getting older. @vlol i met Simon once too a long time ago and I was honestly starstruck! He was so handsome in person too and was very nice! Agree that everyone listed still look so good. Love Angie! I heard that Simon is very nice so glad to know that he truly is. @hetieshou simon is known to be a very nice guy. He will stop and wait for fans to finish selfies and autographs. And he is very polite to the elderly as well. And he also has a good sense of humour. @elizabeth it’s embarrassing but my hubby (bf at that time) actually have to help me ask for a photo as I was honestly star struck when I saw him. He was super nice and actually put his hand around my shoulder for the photo! it’s was an amazing feeling! @happybi Wow! You are lucky! I think apart from great genes, all the stars have remained fit which really helps. Also, they know how to carry themselves on posture and also have good taste in clothing which hides the bad bits. Michael Miu still looks great for hid age and also Adam Cheng. the secret is really a healthy diet and exercise. Chow Yun-fat doesn’t look healthy at all right now. He looks sickly skinny. Michelle Yim just looks face full of botox so not sure why she would be considered on this list. i never said that they look ageless. in fact, i never think any of the actress/actor the media claims to be ageless is really the case. we all age in our own ways, some age earlier than the others. i notice that some people tends to age dramatically when they hit a certain age, and it seems to be age age 35. however, i jsut think that healthy diet and exericse keeps you looking better if you don’t. i never agree w/ anything that’s like skin care to improve skin with the exception of botox or other surgeries. you look like the life style you live, not what you put on your face. the stars look better now than before…yes, even michael miu is still so charming. but chow yun fatt looks the most gorgeous and ever so charming. Sorry i have to disagree. Angie looks her age. See the neck bands and wrinkly skin on her neck? A sure giveaway sign of her age. And the loss of facial volume on her lower face is hard to ignore. Michelle is much better kept despite one year age difference. As for CYF he looks like he has melasma on his face. The only thing about these 4 is that they have kept their figures thru exercise and diet and not allow middle age spread to take over unlike some actors like Alex Man for example. As for the face no one can fight Mother Nature except with some help from the plastic surgeon. @isay Alex Man has trouble controlling his sugar levels and thus the weight gain. @elizabeth oh yes, now i remember reading about it here, thx for the reminder. But that aside, I think he’s not leading a healthy lifestyle by clubbing and boozing. True that Angie looks her age but still looks good for her age. Angie is anti Botox and any form of plastic surgery so I applaud her for being natural and still looking decent for her age. I think Michelle may have used Botox and stuff while Angie never used anything except make up and skin care which is typical. Angie has also had 3 kids too while Michelle never did. @hetieshou that’s true. We age at different rates depending on lots of factors like our lifestyles and of cos genetics plus artificial factors like botox, facelifts etc. @isay woman’s neck and eyes are usually first to show with age. If the face is too perfect at 60, Botox would probably have helped. Chow yun fatt has aged well. Some isn’t ageless except for ray liu. @funnlim you kidding right? Ray lui is so botoxed that his face is stiff as a board . Plus his skin is pulled so tightly it looked like it might crack open with the slightest smile. they forgot to mention kwan lai gik. i think he’s very hot for a 54 year old man although he does look a bit aged. roger kwok is also another one in his 50s and doesn’t look anything close to his actual age. @m0m0 Oh yes. Eddie Kwan! I think Raymond Cho also looks great for his age! His skin is still very smooth and firm. And gosh, I just found out Helen Law Lan is 81 and she is still looking great and younger than her actual age! @kiki there also is derek kok who has aged, but still looks great for 51. And regarding eddie kwan who is 54, i was surprised he still looked reasonable matching with moon lau in blue veins, who is half his age. Eddie cheung looks well. He did look a bit haggard a few years ago after all those movies but he looks pretty smart now. I also feel Chow Yun Fat looks too skinny now – I think he looked way better a few years back before he lost all that weight. He’s very tall so when he gets too skinny, it looks odd. With that said though, Fat Gor still looks good overall and is still as charming as ever! Can’t speak for anyone else but I definitely still adore him, lol! Michelle Yim has definitely aged and does not look as youthful as she did in the past. I also feel that she must have done something to her face (i.e. botox) because it doesn’t look natural at all. In comparisons, Angie Chiu still looks stunning and natural, which is no easy feat considering she already has 3 grown sons (her eldest son is already pushing 40!!). 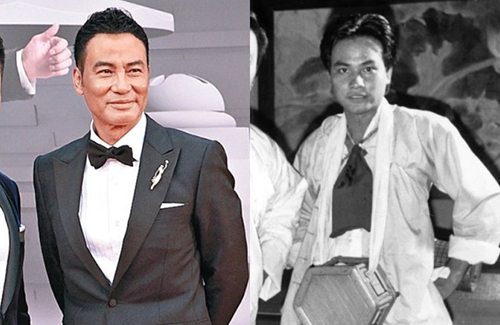 Simon Yam has looked great since the 80s and has kept up the best out of the 4 in terms of looks and stylishness, though not surprising considering he started as a model so he knows how to be stylish and look good. Why is Michael Miu not on this list? He looks awesome for his age and is still as charismatic and attractive as he was back in the old days. And Eddie Kwan too – he has definitely aged, but still looks youthful next to his 2 grown daughters. There are others as well — if we’re talking about “ageless”, then both Raymond Cho and Joe Tay should be on this list too, as neither one looks their age at all. Raymond looks nowhere near 50 years old (he can still pass for someone in their 30s to be honest), though for me, I love his sense of humor the most. Joe Tay got re-married recently and for someone who is already 53 years old with 2 grown children in their mid-20s, he still looks so young. In fact, in the pictures that were taken from Joe’s wedding ceremony, his son (who is 26 years old, I think) actually looks older than him! How come Patrick Tze is not mentioned in this group? He should be the ageless dude. LOL! !